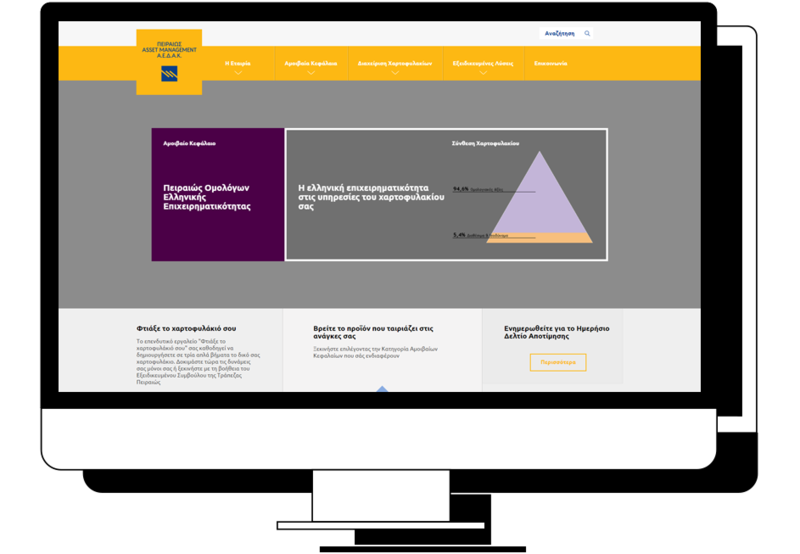 Piraeus Asset management, a subsidiary of Piraeus Group, asked us to create an information web site that appeals to investors. The brief was to create an easy to use web site that gives users precise information on investment plans and products in a non- nonsense profit- first philosophy. Hard facts and figures as well as performance information for investors was the basis for this web site. Information first was the primary concern for the architecture and experience of this web site. 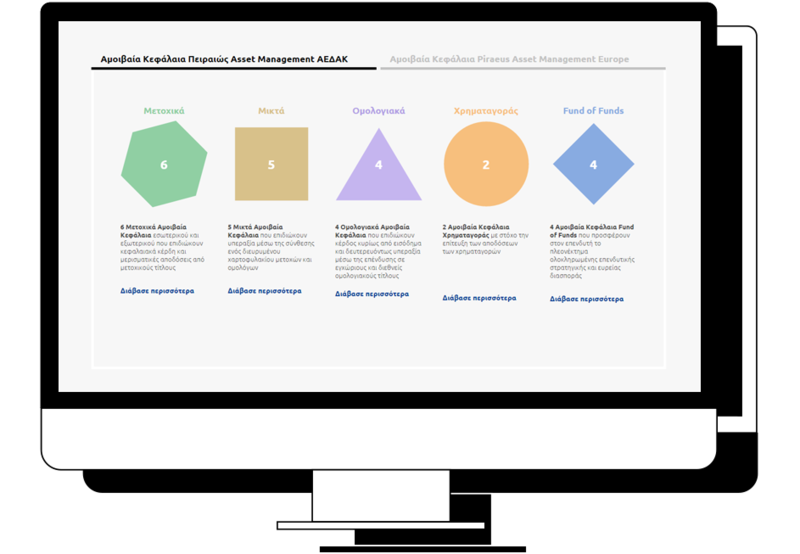 Aside a more mainstream corporate presentation, the web site features simple widgets to help investors identify needs and investment solutions and a simple product structure. We based our approach on simplicity. We created a simple visual language based on financial factsheets. 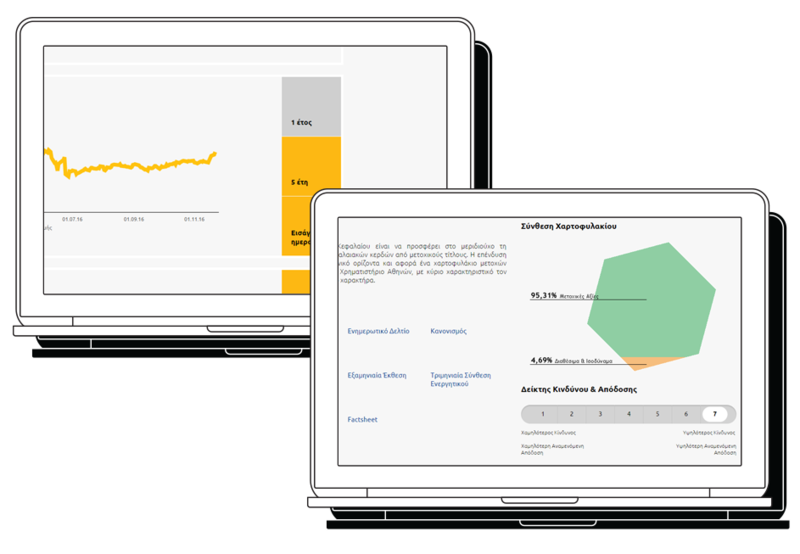 Our information- first layouts made use of performance pies and product charts and graphs in order to be both engaging and useful. We created an instantly identifiable visual language through the use of shape and colour- coding for products, which allows users to navigate and compare products with ease. This helped the creation of an equally easy to use mobile version. Both desktop and mobile web sites were developed with Sitecore Content management platform with full editing features by the administrator on all levels. It is easy to add new products, edit or take away obsolete ones.